2019 will mark the 13th year of the original TransRockies Run. This stage race takes you on an epic journey from Buena Vista to Beaver Creek through the Colorado Rocky Mountains. TransRockies Run is the trail running adventure of a lifetime! To make things simple when you sign up, please pay your $1000.00 deposit and you can pay for the "Add On's" at a later date. Please e-mail Emily - emily@transrockies.com with any registration questions. Note: All entry fees are per person. This means team members are not guaranteed the same entry fee price as each person must register individually. The entry price will increase once the number of available entries in that category has sold out. NEW! RUN 6 Instalment Payment Plan now available! Easy instalments of $500 for RUN 6 or $300 for RUN3. To pay by instalments email Nora at nora@transrockies.com. Complimentary Luggage/Runner pick up the morning of Stage 1 in Buena Vista. Leave your luggage outside your hotel. We have continuous shuttles. Unlimited GU Energy products at all Check Points and Chillville. Three check points on Stage 1, 3,5,6. Two Check Points on Stages 2 & 4. Are you running in a team but want to switch to a single tent? Or do you just want some extra room each night? We’ve got you covered. Upgrade your tent and enjoy sleeping without anyone snoring beside you. Ok, who's kidding who. Bring ear plugs. All your gear for the week needs to fit into one large duffel bag (approx. 90 L). If that’s not enough space for you, feel free to bring an extra bag for the trip. With our extra luggage add-on, we’ll make sure your extra bag is taken care of and gets to you every night. Please bring something unique to identify your bag. We do number each bag, but it can be hard to find after a long day on the trail. Don't have your own sleeping pad to bring. We've got you covered, add-on a comfy sleeping pad to your tent. If you rented a sleeping pad, you will pick it up once you completed Stage 1 and back at Arrowhead. The camping tents are located at the top of the hill at Arrowhead. Not into sleeping in a tent? Don’t worry we have a hotel package for you. The package includes dedicated drivers who will shuttle you daily between hotels and everywhere you need to be for the race. They will also ensure your luggage is taken where it needs to be for every stage and hotel. Available for your supporter to join you in the Race Village for meals. Includes dinner for every stage you are running. This is a great option for those with friends or family travelling or camping with you throughout the race. Following the conclusion of the TransRockies Run, all participants are invited to join us for a catered banquet at Beaver Creek Resort. This special evening will feature the awards ceremony, finishers’ ceremony and a picture presentation. Friends, family and support crew are invited to attend as well. In order to park your supporter vehicle in our designated parking areas at/or near the Race Village of each Stage you must register you vehicle with us and display a TRR PARKING PASS at all times. Please note there will only be space for a car and no camping beside the car in this space. We know some of you would love to share the experience with friends or family. You can have supporters stay with you in our Race Village every evening with our Supporter Tent options. Tent accommodations includes set-up and tear down every day. Supporters must bring their own sleeping bag and sleeping pad. Need help getting to the race and back to the airport? We have shuttles organized to help get you back and forth. Post RUN3 $59 - Camp Hale to Vail and Buena Vista. Camp at Arrowhead (we set up your tent) on Monday before the race and receive a shuttle to registration on Monday and to the start line on Tuesday morning. Please e-mail, emily@transrockies.com for more info. FYI: The TRR crew will be camping at Arrowhead on Sunday, Monday, and Tuesday. Participants must be experienced runners and be in excellent physical condition to participate in the TransRockies™ Run. Special licenses are not required. Minimum age to enter the race is 18 years. 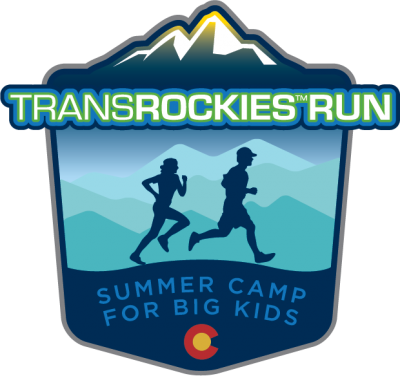 Participants as young as 15 years of age are permitted only in the case that the Team Leader is the parent or legal guardian of the minor, and that the Team Leader is a past participant of the TransRockies™ Run. All participants must read, understand and obey the “OFFICIAL RULES AND REGULATIONS”, which can be found below. The organizers, sponsors, volunteers and event personnel are not responsible for any injury or damage that may occur during the event, cancellations, delays or re-routing due to environmental concerns. Each participant will be required to sign a waiver upon registration declaring that they take full responsibility for risk of injury, to themselves or their equipment, and any lost or stolen items. a. Medals are presented to all finishers in the GU RUN 3. Belt Buckles are presented to the all finishers in the RUN 6. Finisher T-shirts are presented to runners who complete the entire race distance. The TransRockies™ RUN6 offers six different team categories: Open Men, Open Women, Open Mixed, 80+ Men, 80+ Women and 100+ Open. In 80+ and 100+ categories, the combined age of the team must be 80 or 100 or higher. RUN6 solo categories include Open Men and Open Women. RUN3 categories are Open Men and Open Women. Categories where there are fewer than five (5) teams registered may be combined with another category at the organizer’s discretion. All ages are calculated as of the END OF THE CALENDAR YEAR in which the race takes place. At Sign-On, each participant will receive a TransRockies™ Run duffel bag (approx. 36”x16”x16” or 90cm x 40cm x 40cm) with their start number. This bag should also be used to store a sleeping bag, thermal mattress, clothing and personal belongings for the duration of the race. Each participant must drop-off his/her bag at the transportation truck on the morning of each stage (location and time will be announced). The bags will be transported to the next stage location where they can be picked up on arrival at the day’s finish. We can only transport one bag for each participant and will not accept any additional items. When you arrive at Buena Vista location we ask that you transfer the contents from your traveling bag into the bag that is provided by TransRockies. The remaining items such as suitcases etc. will then be transported directly to the finish and can be picked up at the end of the race. TransRockies will not be responsible for any lost or stolen items. Registration includes tent accommodation during the race. Tent accommodation for teams is 2-per tent (teammates share a tent), unless you purchase an additional tent package. Tents are approximately 7’ x 7’ of floor space. Solo participants will be accommodated 1-per tent. No accommodations are provided for the nights prior to the start, or following the finish of the race (the evening of the last day of racing). Participants are encouraged to book hotel accommodation for those evenings. We are generally able to accommodate all participants with access to showers. However, there will be limited use. Showers must be limited to five (5) minutes to conserve hot water, fresh water, and allow enough room for grey-water storage. Participants may bring friends, family or other support during the race. If participants wish to purchase a meal package for friends, family or support they can purchase the package prior to the race, at Sign-On at the start, or at the Race Office during the daily stages. Support vehicles will be charged a daily or weekly rate for a confirmed site. Support crew/vehicles will NOT be allowed to park or enter the TransRockies staging area unless they purchase a vehicle camping pass. Participant support crews will be responsible for their own accommodation and transportation to each stage location, however, a full set of driving instructions for the week are included with the purchase of a vehicle camping pass. Supporters are not permitted to drive on the course and should only spectate at the locations listed in the map book. Note: Exact staging locations are subject to change, and US Forest Service approval. The TransRockies™ Run is a race where participants will follow a preset route with the help of course markings and maps. For this reason, we recommend that every team or solo runner carry an altimeter and running computer unit to assist with route finding in case you lose the markings. Please note that we use a variety of methods for calculating distance and elevation gain, and route book measurements may not match your personal measurements. Data may vary due to differences in personal calibrations and measurement methods. Due to the possibility of last minute route changes, we do not provide GPS data in advance. Participants should not expect to rely on any published or publicly available GPS data. Included in the race package, each participant will receive breakfast and an evening meal at each stage location. TransRockies will also provide electrolyte drinks, water, energy foods and fruit at each check point. The check points are not food supply points. It is recommended that if you require more food/drink during the day that you make the necessary arrangements in advance by purchasing food in advance or in the host communities. WARNING: Do not bring food into tents in the tent camps – it may attract wildlife. We will provide a storage area if you need to store food overnight. The TransRockies™ Run expo area offers athletic therapy and massage service on site to soothe your aching muscles. Massage and athletic therapy services are offered on a “pay-as-you-go” basis. Shuttles to the start and from the finish will be available for participants at an additional charge according to the schedule posted on the event website. Transfers need to be booked in advance of the race. Please read the Race Info section of the website for more information. Transfers may be offered by TransRockies or by a third party. Monday, August 12th, 2019 – 12 p.m. to 5 p.m. at South Main Square in Buena Vista. Participants must be in good health and be experienced, well-trained trail-runners. All participants are responsible for their own health and travel insurance. In the case that a search and rescue or medical evacuation is required, the participant is responsible for any expenses incurred . Ask your local insurance provider to recommend a specialized travel insurance provider who can provide coverage. Your insurance should cover Air Ambulance service, and should not exclude athletic competition. Participants may wear sponsor logos on their clothing. They can not change, cut, fold, or alter the start numbers supplied by TransRockies. If the participants are one of the leaders in any category they are required to wear the Leader Jersey provided by TransRockies. Unauthorized signage of any kind is not permitted in start and finish area, stage locations or camps. All team participants of the TransRockies™ Run will start in teams of two. Both participants in each team must appear together at the start, at all check points, and at the finish. If this does not occur, the team will not be considered in the daily results. Should one team member arrive more than two minutes before their partner at one of the check points, the team will be given a 60-minute time penalty. If this occurs more than once, the team will be disqualified. Teams must start each stage together to maintain official ranking in their category. Teams become unclassified if either member does not start a stage. Unclassified teams may not compete for individual stage or overall results, but may continue to start each stage as they wish and have stage times recorded in the unclassified results. Teams wishing to separate and continue as solo runners may do so, but will become unclassified and will not be eligible for stage or overall ranking in any official category. Their unclassified GC time will be based on their team times for every stage started as a team before they elected to separate. Teams who elect to separate must notify the race office or chief of timing no less than 30 minutes prior to the start of a stage. All solo participants of the TransRockies™ Run must check in at the start, at all check points, and at the finish. If this does not occur, the team will not be considered in the daily results. Solo Runners must start every stage to maintain official ranking in their category. Solo runners who become unclassified may not compete for individual stage or overall results, but may continue to start each stage as they wish and have stage times recorded in the unclassified results. The start will remain open up to 5 minutes after the start time listed for each day. Runners starting up to 5 minutes after the designated start time, will be measured according to the official start time. Runners who start later than 5 minutes after the official start time will not be considered in the overall results. During each stage there will be one to three mandatory check points where both members of each team, and solo runners, must report into the Check Point. Runners or Teams who do not pass one of the check points (for example because they have lost their way), will receive a time penalty of 60 minutes for each check point missed. The jury reserves the right to impose a higher or lower time penalty in special cases. Participants will be recorded together at the check points in the order of arrival. 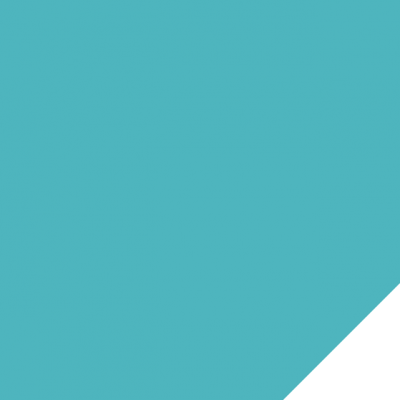 Should one participant arrive prior to their teammate, he/she must wait at the end of the line until his/her partner arrives, within the allowable time limit of two minutes. Otherwise, the 60 minute time penalty will be assessed. At the finish of each stage, the participants must arrive together as a team, solos individually, and check in with the Timing Team. The official finish time of the stage is recorded here. Runners or teams who arrive at the finish after the finish time limit due to exhaustion, repairs, injury, etc., but who are still on foot under their own power will receive the maximum racing time (from official starting time to finish-time) plus 60 minutes. They are eligible to continue racing the following day. Runners or teams who can prove a severe defect or injury and arrive at the finish in/on a vehicle will receive the maximum racing time (from official starting time to finish-time) plus 120 minutes, and can continue to race the following day. Each participant must run or walk the entire distance of every stage to qualify for a Finisher T-shirt. Teams who separate during the stage will receive the finish time of the slower team member, inclusive of any penalties. If you withdraw from the race, the organizers will ensure that you are transported to the closest town, and you are then responsible for your own transportation back to the start, Denver, or another destination. All participants are responsible for their own food and beverages while on the race course. The organizers will provide water, energy foods and electrolyte drinks at the check points. 1. The race will be taking place partly on public roads. Each participant is to obey all traffic laws in effect and yield to motor-vehicles with right-of-way at all times. • Littering of any kind is prohibited. This includes Gel and Energy Bar wrappers and applies to the race course, as well as camps and staging locations. • Washing clothing in rivers, streams and lakes is prohibited. • Short-cutting of trails is prohibited. You must stay on the primary trail tread of the marked routes at all times, as described in the map book. In the case of major environmental concerns (fire bans, wildlife, flooding etc.) TransRockies has the right to cancel, delay or reroute the race. Participants will not be reimbursed in an environmental situation that is out of TransRockies’ control. In case of cancellation of a race leg, participants will be brought to the next stage location. 1. Slower participants are required to make way for faster runners. Faster runners must give slower runners a reasonable opportunity to pull off the trail before passing. 2. Course Hazards are often not marked. Run in control and be prepared for possible course hazards. These rules primarily serve to assure the runners’ safety. Violating these rules can also lead to subsequent time penalty disqualification from the race. Each participant can file protest against other teams for disregarding the rules or against decisions of the race director. Protests can be filed in the Race Office up to one hour after the finish time limit. Witnesses should be named. A jury of three members appointed by the Event Director will debate the protest and render a decision prior to the start of the next stage. The protest fee is $50 USD. This fee will not be reimbursed. Each participant is responsible for his/her own safety and security. The organizers, sponsors and event personnel are in no way liable for injury or damage incurred to the participants. A stipulation to participation in the event is that the runner agrees to take responsibility for risks against his/her person and his/her belongings when participating in the race, and give up any right to claim from persons, institutions, or companies running or having run the TransRockies™ Run. There is a $1000 deposit due at registration – no refunds. The balance is due May 1st, 2019. All Deferrals, Substitutions and Cancellations will be subject to a $300 admin fee with the remaining credit held for the 2020 season if canceled prior to July 1, 2019. All Deferrals, Substitutions and Cancellations will be subject to a $600 admin fee with the remaining credit held for the 2020 event if canceled on or after July 1, 2019. No credit will be applied for any cancellation received less than 72 hours prior to the start of the first stage. Please e-mail Emily - emily@transrockies.com with any questions.